Vector graphics are fantastic. They give us small, compressible files, crispy rendered pixels at any scale, and they're supported by many different kinds of software and frameworks. Except iOS 😭, which doesn't support them out of the box. Today we'll try a library from Michael Choe called SwiftSVG which provides great support for parsing and rendering SVG files. Let's take a look. 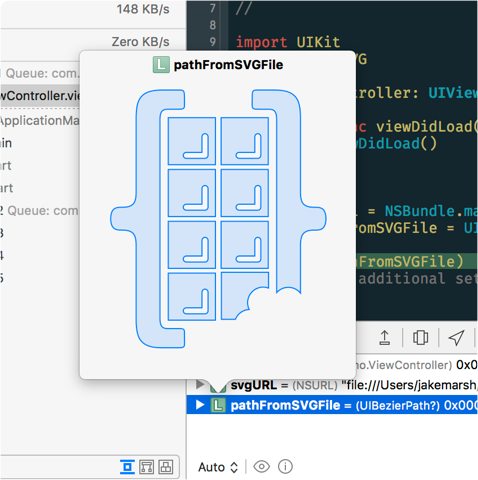 SwiftSVG supports a ton of different ways of getting SVGs into our app. 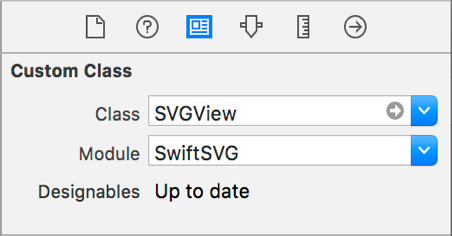 SwiftSVG also provides a custom UIView subclass we can use in Interface Builder that supports IBInspectable/IBDesignable. They are instructions on how to draw a set of paths. The files are incredibly small. Getting a good workflow going for creating them at-will can be tricky, but Sketch (eventually) makes it mostly painless. Once we have this, we can build some awesome abstractions. Imagine a Swift struct with SVGName, color, and size that can produces a UIImage.